She is a documented, undocumented Native American. Sen. Elizabeth Warren isn’t ready to agree with critics that releasing an analysis of her own DNA to prove she has an American Indian ancestor backfired. But she did tell The Boston Globe that she wishes she had been more careful to distinguish between her claims about her family tree and the notion that she might belong to an actual tribe. The Cherokee Nation was quick to condemn Warren on Monday for implying that she was among their 288,000 enrolled members. She has said in the past that one of her ancestors was part Cherokee and part Delaware. Warren is ineligible for Cherokee membership. Her forebears aren’t listed on the Dawes Rolls, a sheaf of hundred-year-old government documents considered the first step to Cherokee citizenship. Warren was born in Oklahoma, where more than 7 per cent of the population identifies as American Indian. But she’s not a member of any tribe, and many Indians take exception to anyone who claims to be part Indian, especially for political purposes, without having proven links to a specific tribe. 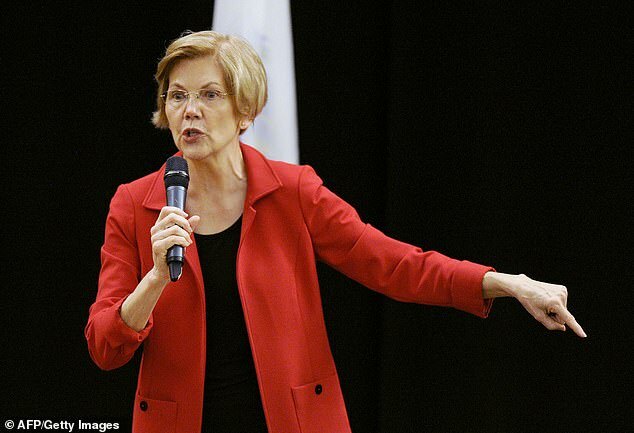 Warren defended her decision to put the results of her DNA test in the public’s hands just a week after President Trump claimed during a rally that she would never agree to take one. ‘I know what it is, and I’m not going to hide it,’ Warren told the Globe.